As a follow up to last week’s post about how to identify signs of trauma, this week we will be focusing on the different approaches our therapists take in facing and healing trauma for our clients. Those who experienced a shocking experience in their lifetime, even if it was years ago, struggle on a day-to-day basis of reliving those moments that changed their lives forever. If undealt with, post-traumatic stress disorders may develop, making it more challenging to be treated and begin a recovery process. However, if caught early, many who had trouble functioning at work, home, or socially can start to gain strategies to cope with the trauma they experienced. Our Houston counselor for trauma at the Grief Recovery Center aims at helping our clients understand what trauma is in their lives, as well as how it is affecting the way they live every day. When we are able to help clients realize the problems they may be experiencing due to the trauma, they are then able to learn new skills to establish a new foundation on who they are and what their future may look like. 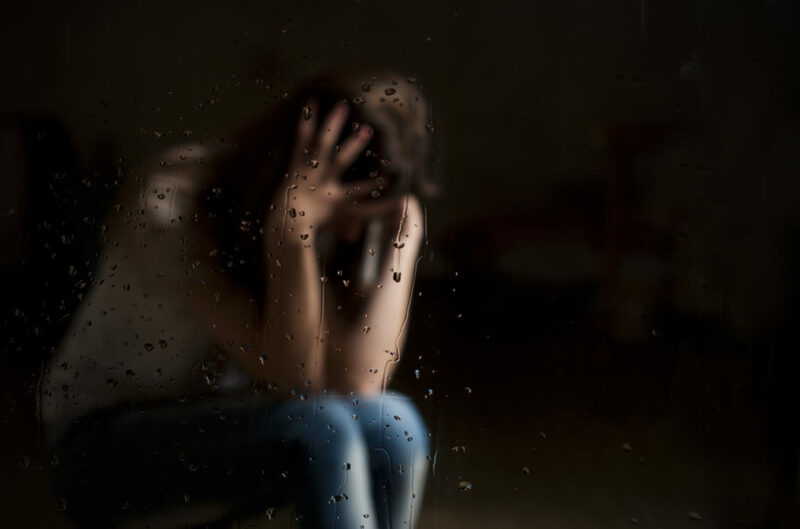 Trauma, unlike other psychological disturbances, is often sudden and brings about changes in an individual’s life that impact all aspects of that life. Our therapists start off most therapy sessions by helping our clients focus and understand how the trauma the experienced may have affected their lives. The understanding of the trauma is essential to begin treatment because, without the knowledge of how that trauma affects day-to-day activities, the ability to regulate and adjust to the traumatic experience may become more difficult overall. The hard work that needs to be done with trauma is the understanding that, trauma is not destructive in itself, but destructive because it disconnects the individual from what the traumatic event or stressor itself. This disconnection with the self that comes from experiencing the trauma keeps the individual from self-healing. When this response becomes habitual, the individual is left with an overwhelming sense of anxiety and grief that comes from having been impacted by trauma. Symptoms of trauma, as described in last week’s post about signs of trauma that can be identified by our therapists, can last from a few days to a few months after the event. Even with time, however, trauma memories can resurface and bring about fears and anxieties. Triggers such as places, select dates and anniversaries, and people can bring about all the painful emotions that came with the trauma. So, how can you begin the healing process to recover from a traumatic experience? What are some strategies to ensure that you do not remain trapped in the traumatic emotions? Here are some tips that our therapists have found to help ease the experience and avoid potential movement towards having the trauma turn into PTSD. A traumatic event can bring about a sense of loss that an individual must learn to cope with. This sense of loss could be a loss of security or a loss of identity, but both lead to grief. So, what are some essential actions to take up during the recovery process? Our therapists have often found that trauma can cause our clients to freeze up and become numb to their surroundings due to the heightened sense of fear and anxiousness. Trauma can also cause the body to become hyper-aroused, and it is in this heightened state that one can become numb or “stuck.” To break out of that cycle of restlessness and distress, the best recommendation is to try to keep moving and exercise. The over-aroused nervous system needs an outlet for the traumatic emotions to be released. Thus a good regimen of exercise will help distract your body from maintaining the heightened emotions. Most individuals who experience trauma are more likely to become reclusive and avoid human contact out of fear, shame, guilt, and self-blame. Our therapists recommend that isolation should be avoided at all costs because it will only make matters worse. Support and connection to others can help with the healing process. Therefore it is important to maintain relationships and a social support network. Many of our clients are concerned that they may have to open up about the trauma they experienced. They fear the disappointment, shame, and embarrassment will be overwhelming. Thus they try to avoiding everyone they can. Unfortunately, this will only further the sense of helplessness that most trauma victims feel. By connecting with others, even if it isn’t talking about the trauma, most of our clients have received comfort and acceptance to ease the traumatic experience. So, reach out, whether to family members, friends, support groups, peer groups, or an experienced therapist to begin the process of recovery. Another critical facet to recovering from trauma is to begin to build self-awareness. Trauma, as described above, can come as a surprise, and anything can trigger the emotional pains from having experienced trauma. As such, many clients have found that it is difficult to control their emotional agitations and outbursts from reliving the traumatic event. Our therapists have taught our clients the importance of recognizing these emotional ups and downs that can cause confusion, anxiousness, and fear. By becoming more self-aware, a trauma victim may build the capacity to pause, recognize the stress they are experiencing, and choose to respond with strategies they learn about how to cope with reliving their traumatic experience. Lastly, remember that self-care and the ability to put personal wellness first before the needs of others is vital in learning how to cope with the stress of trauma. Clients who are lacking sleep and general nutrition are more susceptible to the pressures of a traumatic experience. One of the more essential strategies our Houston therapists have recommended to our clients is the significance of maintaining a well-balanced diet along with quality rest. Drugs and alcohol will only worsen the symptoms that come along with trauma, furthering other mental illnesses such as depression, anxiety, and other mood disorders. The above strategies are beneficial in coping with traumatic experiences, however, to ensure a healthy recovery process, it is essential to seek the help of an expert Houston therapist. If you have trouble in any of the areas above, you can contact us at the Grief Recovery Center for more info today.